Wings & Ale has proudly served you since 1989. We hope your experiences here have been enjoyable, and we will continue to maintain our high quality of food and services for another 20 years. ENJOY!!! 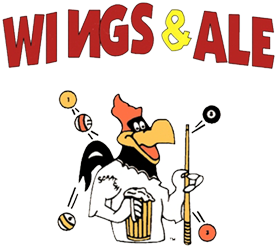 Wings & Ale will be happy to host your special events, office parties, birthdays, anniversaries, etc.